Not everyone’s got the time to read these days, a trend which is prompting something of a return for oral storytelling – just not in the traditional sense. With audiobooks becoming increasingly popular and accessible thanks to the ubiquity of smartphones, ebook giant Kobo has finally decided to take on Kindle's Audible audiobook service, integrating an audio player into its free iOS and Android apps along with access to a range of audiobooks. 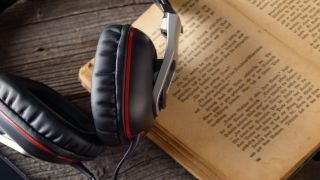 The Canadian company says audiobooks can be purchased as a one off or, as with Audible, users can opt for a monthly subscription at a cost of US$9.99/£6.99/AU$12.99 a month. Subscribers to the audiobook service will be provided with a credit each month, which can be exchanged for any title from the 1.5 million-large catalogue, no matter the actual price of the book. And like Amazon's Audible, there's a 30-day trial period before the payments will kick in, unless you cancel the service if you’re not happy with it. Additionally, customers can earn Kobo Super Points on their subscription fees or purchases that can be redeemed for any outright Kobo purchase, with the minimum points required being 2,400. Once a title is selected, the built-in audio player will give users control over the speed of narration, with an automatic switch-off timer option for those who listen to stories at bedtime. The service launches today in the US, Canada, UK, Australia and New Zealand. Want to keep reading in the digital format? We help you figure out which Kindle you should buy.